Check out Burger King® Spain SKILL for Amazon Alexa. 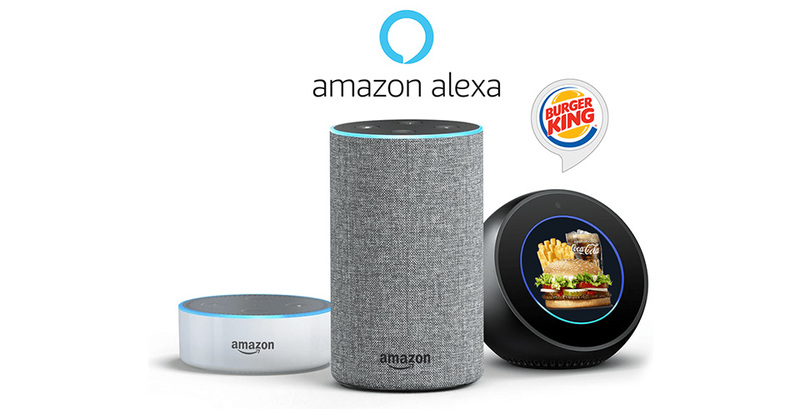 In a new commitment for innovation, and aware of the growing trends, Burger King® Spain, in partnership with Airtouch & Amazon, strengthens its digital channels and launches a BK SKILL at Amazon Alexa for HD ordering and order status. Choose between the 3 top menus available: Whopper® Menu, Long Chicken® Menu and Double Cheese Bacon XXL® Menu. Choose also your favorite drink to go along with the desired Menu: Coca Cola®, Fanta® or Nestea®. At Airtouch, we have teamed up with Burger King® and Alexa, Amazon’s virtual assistant, to make it easy for you to voice order and enjoy the best grill flavor. Activate the Burger King Skill in your Alexa app and ask with your Voice for the menu you want.